To break the chill in the air and to add a warm spiced aroma to my home, I decided to make these cookies as a treat. 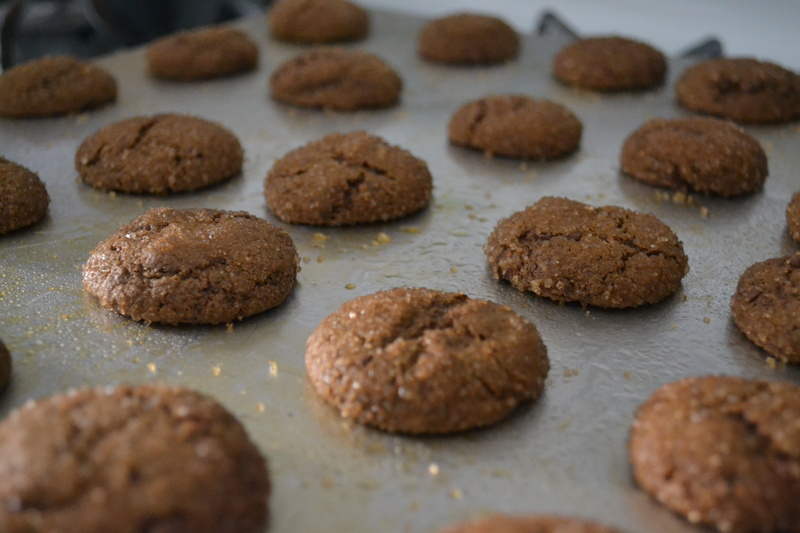 They are adapted from Heidi Swanson’s ginger cookies featured in here. These are sweet and a tad bit spicy from the ginger. Now, for you ginger-aholics, these are not THAT snappy or gingery…but you can ramp up that ginger by adding more ground or fresh ginger. I added diced semisweet chocolate chips to balance the spicy ginger and because my hubby was hankering for chocolate chip cookies. And like the good domestic flower of a wife that I am (cough cough), I made the cookies that I wanted (gingersnaps) and just added chocolate….win win…right? 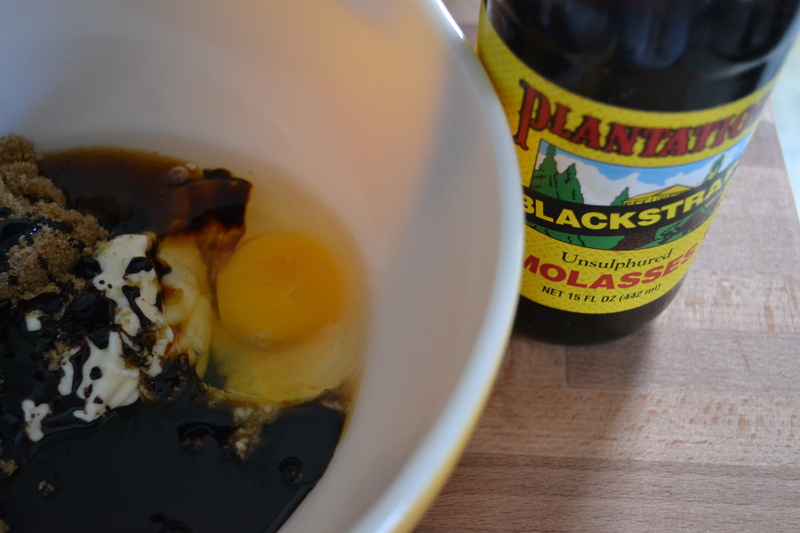 Now, these cookies call for 1/4 cup of molasses. Make sure you use a good unsulphured molasses. I use Plantation brand which is organic, rich, and densely flavored, not harsh. These cookies are fun and easy to whip up. I make these cookies bite sized, using about 1/2 to 1 tablespoon of dough per cookie. 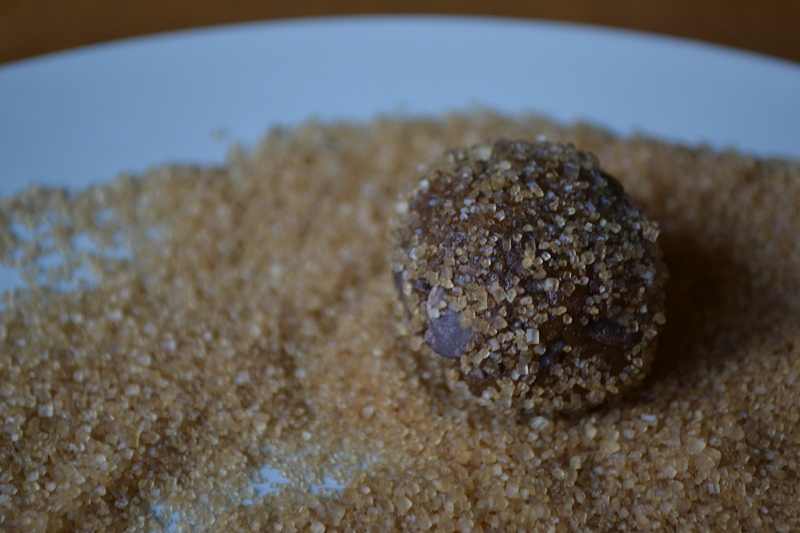 I love the crunch of the large turbinado sugar that the cookies are rolled in for a finishing touch. Preheat oven to 350 F with racks in the top and bottom third of the oven. Line two baking sheets with parchment paper. In a large bowl, whisk together the flour, baking soda, cinnamon, salt, nutmeg, ground ginger. Set aside. Heat the butter in a saucepan or microwave until it is just barely melted. Stir in the molasses, brown sugar, and fresh ginger. The mixture should be warm, but not hot. Whisk in the egg. Pour this mixture over the flour mixture and stir until barely combined. 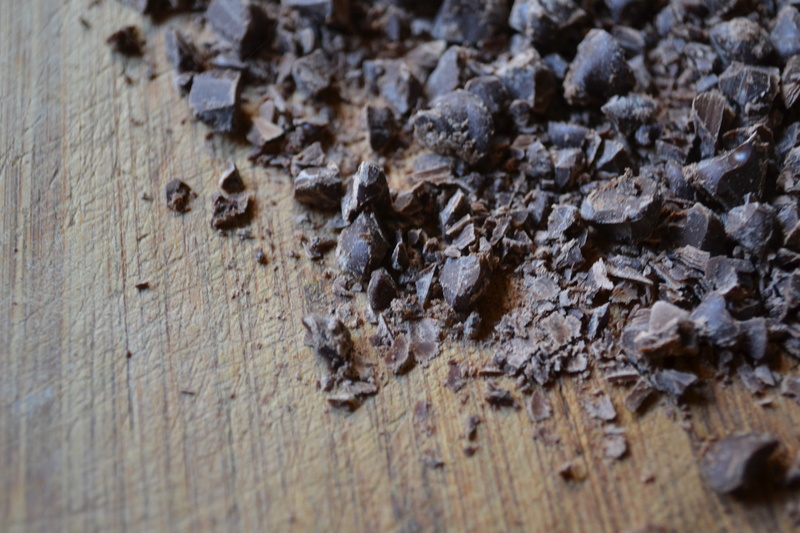 Stir in the chocolate. Chill for about 30 minutes or long enough to let the dough firm up. Place the turbinado sugar on a plate. Shape the dough into balls (using about 1/2 to 1 tablespoon each). Roll in the sugar to coat. Place 2 to 3 inches apart on the baking sheet. Bake the cookies, rotating the baking sheets halfway through the cooking time, until the edges firm but the centers are still slightly soft. This should take 7 to 10 minutes. The cookies will puff up, darken a bit, and crack slightly. The bottoms will be deeply golden. If you make larger cookies, they will take 16 to 18 minutes. Let cool slightly on the baking sheets, then transfer to a wire rack to cool completely. I love ginger snaps! These will be just perfect with some apple cider on a cold winter day. Plus, my hubby (like yours) needs his chocolate fix. OMG my mouth actually salivated as i read this recipe. a must try!